Millennials have been conditioned by the Great Recession to shed the responsibility of ownership. They want the music, but not the CD. They want the ride, but not the car. That attitude has an enormous impact on marketers, as the biggest consumer demographic in history would rather share than buy. 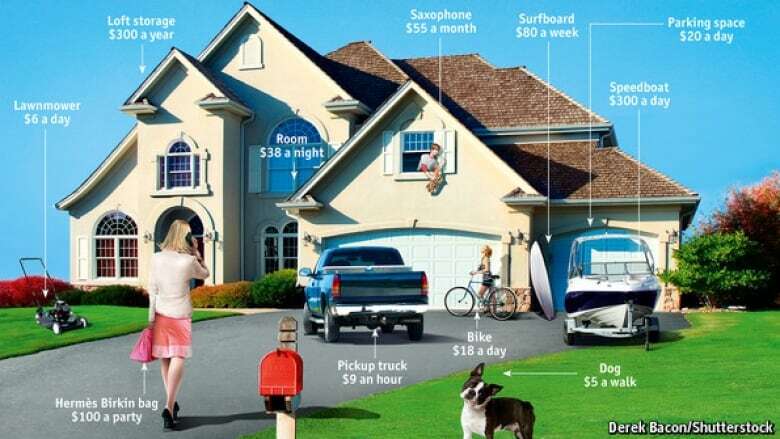 As the Sharing Economy grows, everybody wins - except marketers. The is only one fate worse than death. The reason moving is so painful, of course, is because you suddenly rediscover all your stuff. 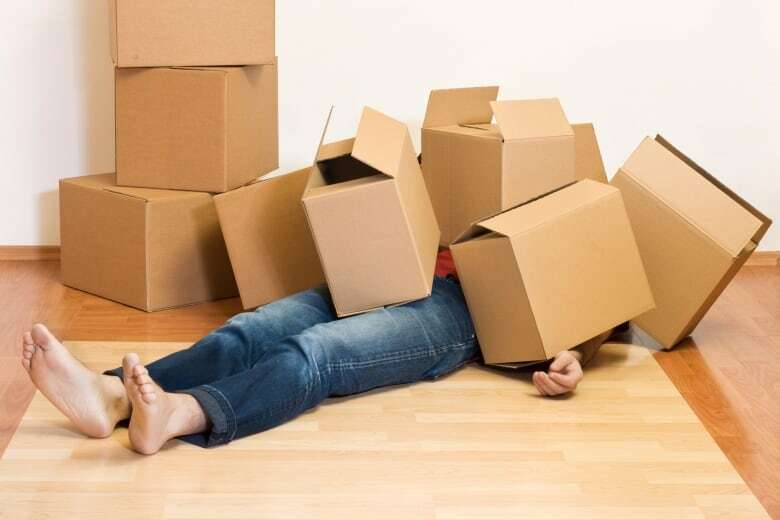 You never really know how much stuff you have until you have to move it. Because we are a society of consumers, we have now become a society of storage renters. 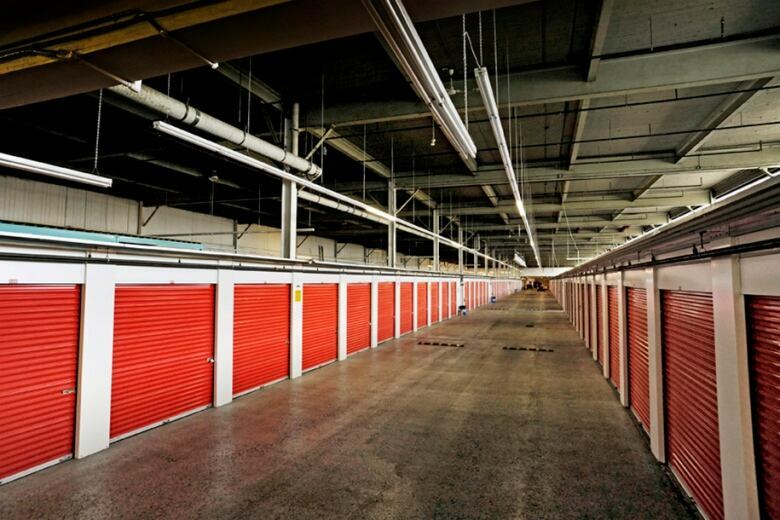 Nearly one in ten households in the U.S. rents a storage unit. That represents a 65% increase since the year 2000. 60% of those renters already own a garage, 47% have an attic, and 33% have a basement – yet they still feel the need to rent additional space. The country with the biggest self-storage industry in the world outside the United States? There is currently about 2.3 billion square feet, or 210 million square meters, of storage space available in North America. In other words, it's an area three times the size of Manhattan Island. There's an extraordinary amount of unused stuff sitting idle in storage facilities. We have so much stuff in our lives that the self-storage industry has been the fastest growing sector in commercial real-estate over the last 35 years. But an interesting shift is afoot. One storage facility owners aren't happy about. It's a movement that resists ownership. A movement where people are happy to borrow when they need things. They are happy to rent out their apartments to people they don't know, or accept rides from complete strangers, or share power tools with people they've never met. It's called… The Sharing Economy. And it has already worked its way into automobiles, accommodation, transit, food, clothing, home improvement and even employment. It's a brand new world of transactions where everybody wins… except marketers. The Sharing Economy has two main elements. Either the sharing of goods, or the sharing of services. That's why it's also called the P2P market, or Peer-To-Peer, because it eliminates the need for traditional, big corporations. It's a person-to-person transaction. In a nutshell, it's the sharing, bartering, lending, trading or swapping of goods without having to own them. 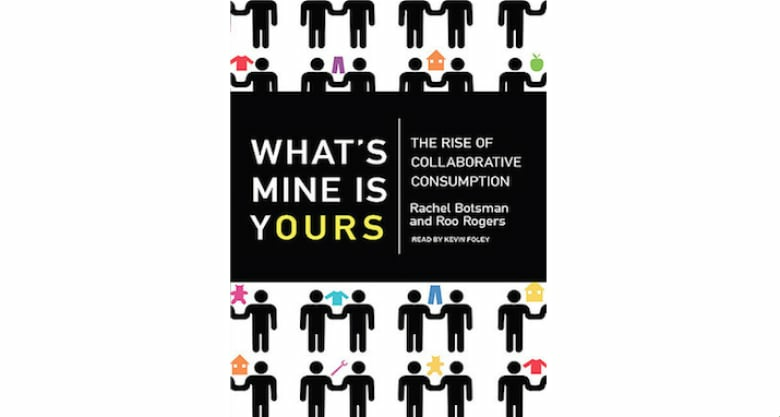 Rachel Botsman, who wrote an excellent book on the subject entitled, What's Mine Is Yours, explains it this way: Sharing products without owning them is based primarily on products with a "high-idling capacity." For example, there are over 80 million power drills in North American homes. 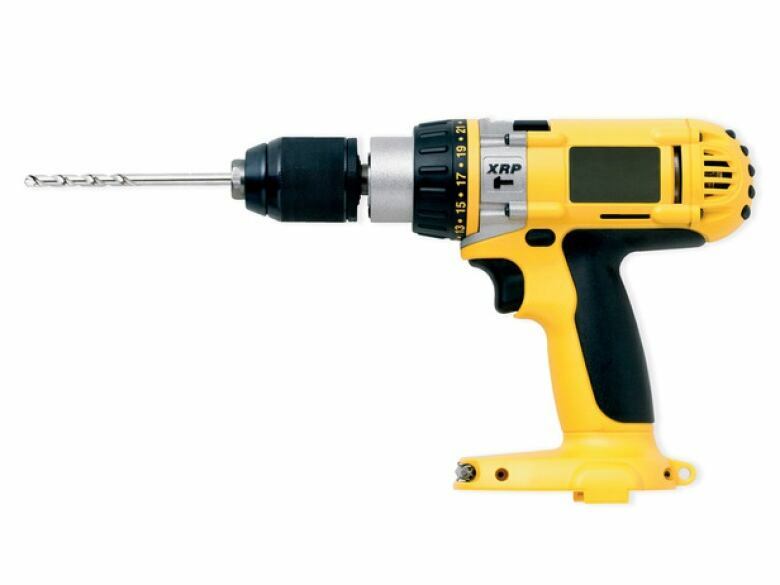 Do you know the total time an average power drill will be used in its lifetime? Chances are your car will sit in your driveway 23 hours a day. That's the definition of "idling capacity" – many of the products in our lives simply sit idle and unused. And that's why people in North America spend $20 billion on storage facilities. So it begs the question - Why own a drill when you can just borrow one once in a while? The average car costs about $8K a year to run. So the sharing economy asks: Why own a car when you can just share a car with someone else? From this thinking, new companies have been born. For example, if you want to borrow that drill, you could log onto to Neighborgoods.net. It's a website that connects people with items to people who need items. The best part is, the Neighborgoods website facilitates the transaction by connecting you with someone in or near your neighbourhood and charges nothing. Its mission – to help people conserve resources and live more connected lives. In cities like Toronto or Halifax, you can borrow that drill from the Tool Library.com. For a membership of just $50 a year, you have unlimited access to tools big and small. There are 40 tool libraries in the U.S. and a half-dozen in Canada. You also have the option of swapping goods. There are many websites like SwapItShop.com or SwapSity.ca, that connect you to people who have goods they want to trade. So, if you have the box-set of season two of the TV series 24, you can post that you want to swap it for, say, a toaster. Then wait for a reply. What you're seeing here is a lot of goods changing hands, and none of it involves a traditional corporation, a brand, or even a marketer, for that matter. For decades, you only had a few choices. You can buy a car. Lease a car. Or rent a car. Then along came companies like ZipCar. Suddenly, you could rent cars by the hour, or even for an hour, instead of by-the-day – a concept that revolutionized the car rental industry. 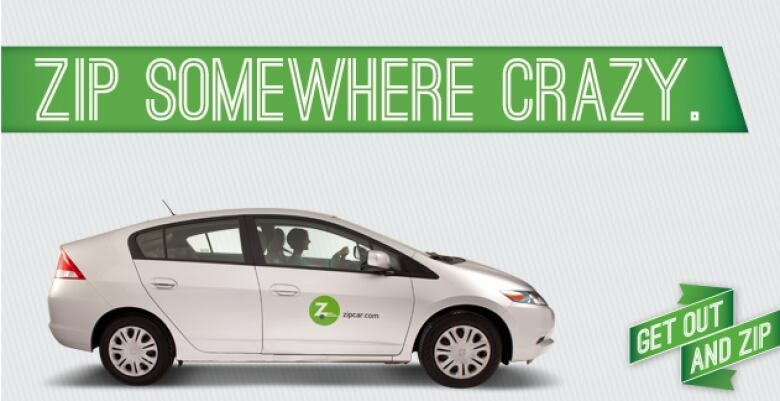 While ZipCar is not a "sharing site" per se, it did begin to alter the mindset of car ownership. Many people now had the option to rent a car for occasional errands, instead of owning a car that sat idle for most of the day. 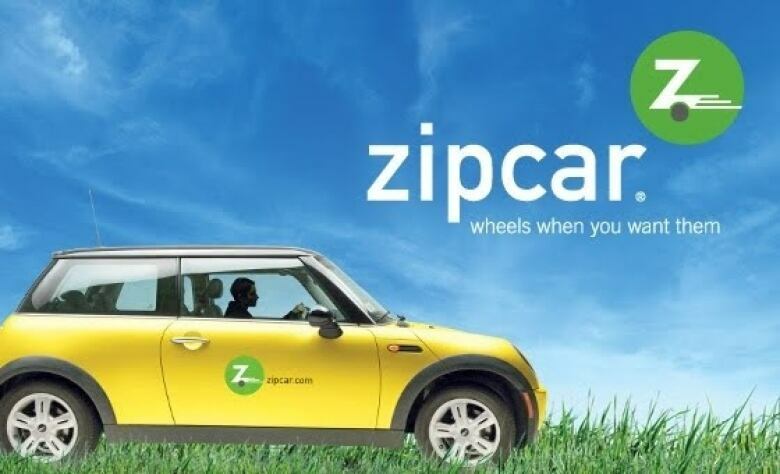 The Washington Post just reported that the U.S. government experimented with ZipCars. Instead of maintaining a fleet of 200,000 vehicles at a cost of $430M, government employees who only need cars for a few hours will now rent Zipcars, or use other car-sharing sites helping the government shave millions off transportation budgets. It's not good news for big auto manufacturers, who count on fleet sales to the government. Rachel Botsman tells of an fascinating study ZipCar did in 2009. ZipCar took 250 self-confessed car addicts from 13 cities and convinced them to surrender their keys for a month. So if they wanted to go somewhere, they had to walk, bike, or take transit. Participants collectively lost 413 pounds. And distances walked increased 93%. But here was the amazing stat: 100 of the 250 participants did not want their keys back. Remember, these were car-addicts. And they had lost their urge to own. That wasn't just an interesting stat, it was a revelation. Suddenly, new online companies launched to serve that growing segment of the population who no longer want to possess a car. 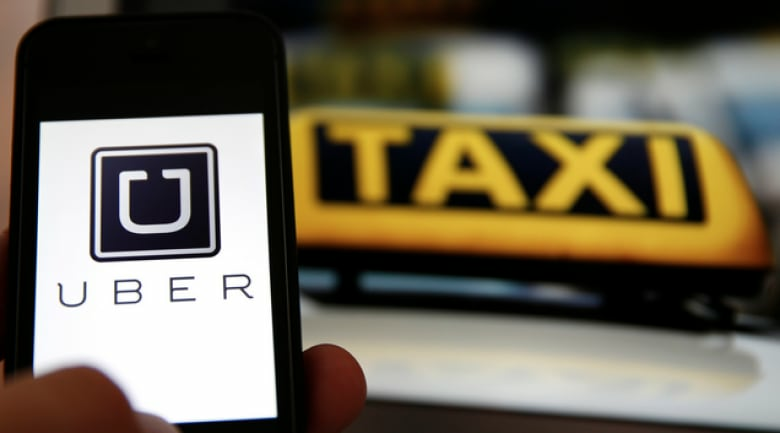 One is called Uber, where you can use an app to hire private cabs and towncar services. An offshoot of Uber is called UberX. You simply tap the UberX app on your smartphone - it knows exactly where you are due to GPS location data – and you can watch a clock count down how many minutes it will take for the UberX car to reach you. UberX says its fares are about 40% cheaper than cabs. And here's why: All the vehicles are driven by vetted, regular people in their own private cars. Not cabs. Regular people in their own cars. And when you're dropped off at your location, no cash is exchanged. The fare and tip are automatically added to your credit card. Uber is growing at an incredible pace, and is already valued at $40 billion. As of this writing, it provides just over one million rides a day, and is now in 53 countries and 250 cities. With those numbers, the big losers, of course, are cab and limo companies. In the States, another car service is called Lyft. It monetizes empty seats, connecting regular people with cars to fee-paying passengers. 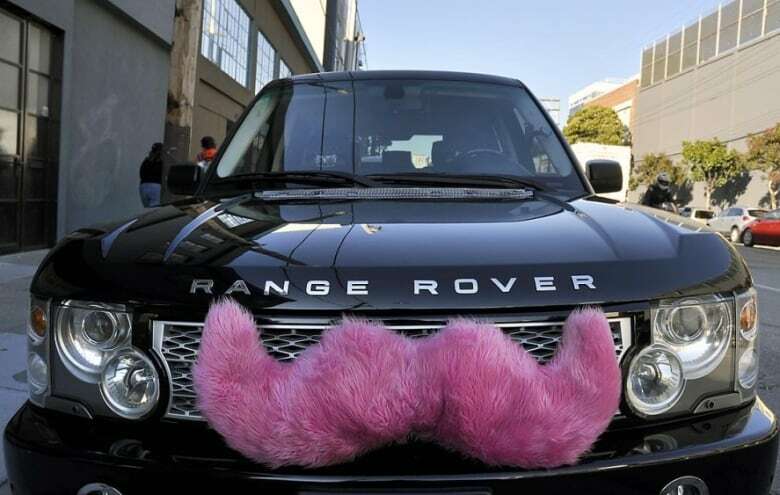 In the beginning, all LYFT cars had big, furry, pink moustaches attached to the grill. It was a humorous way to differentiate the brand in the marketplace. But, as the car sharing service matures, it has now eliminated the furry exterior stach and opted instead, for a small glowing one mounted on the dash. You're also told a little about the drivers who offer to pick you up. 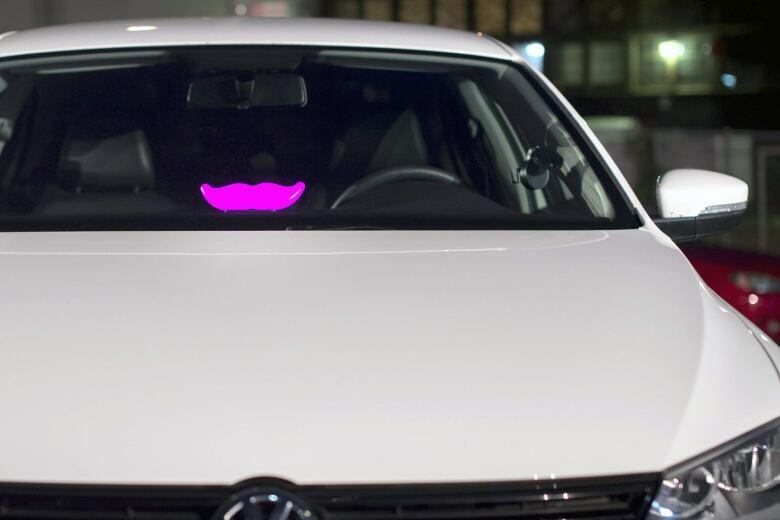 Once inside a Lyft car, you'll always be greeted the same way - the driver will fist-bump you. It's a Lyft tradition. And like UberX, the fare is charged to your credit card. Peer-to-peer. No cab or taxi company involved. 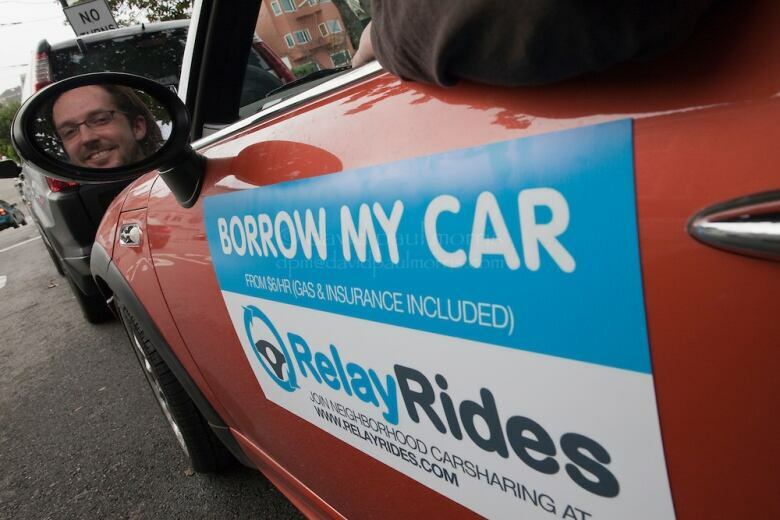 If you want to rent out your own car that's sitting idle in your driveway – you can list your car with RelayRides.com in the States. The website will rent your car out for you, and give you 75% of the rental charge – which is found money for you, and a bargain for renters, because it's still cheaper then renting from an established rental company. That's great news for everybody… except Avis, Hertz, Budget and the rest of the car rental category. 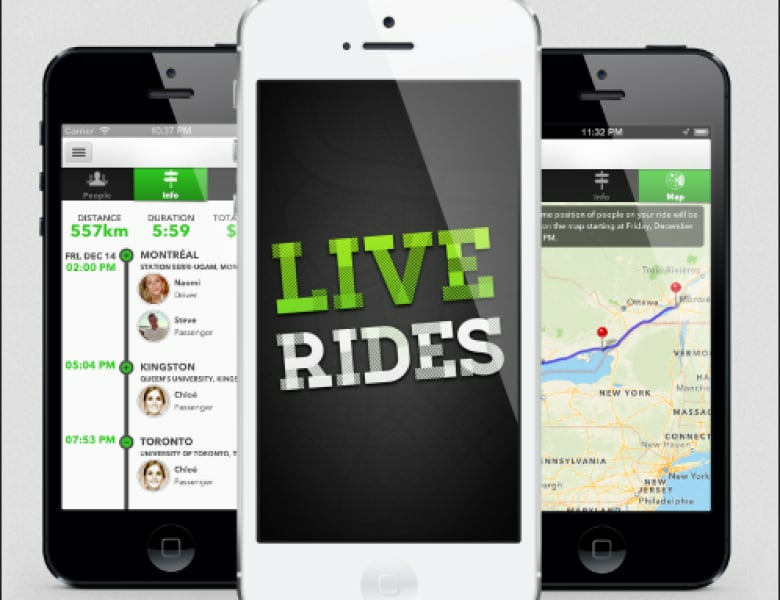 If you want to car-pool in the sharing economy, you can use Live Rides.com here in Canada. Download the app, then you have the choice of carpooling to work or school with a friendly stranger. You're sharing the passenger seat, and the driver is earning money going the route they were already going anyway. Everybody, that is… except cab, limo companies and public transit. Oh, and the major car companies. By the way, when the major car manufacturers were being bailed out by the government, car sharing memberships increased 51%. A site called Shared Earth.com matches people with land to share, with people who want to grow things. Gardeners get free access to backyards by sharing what they grow with the owners. 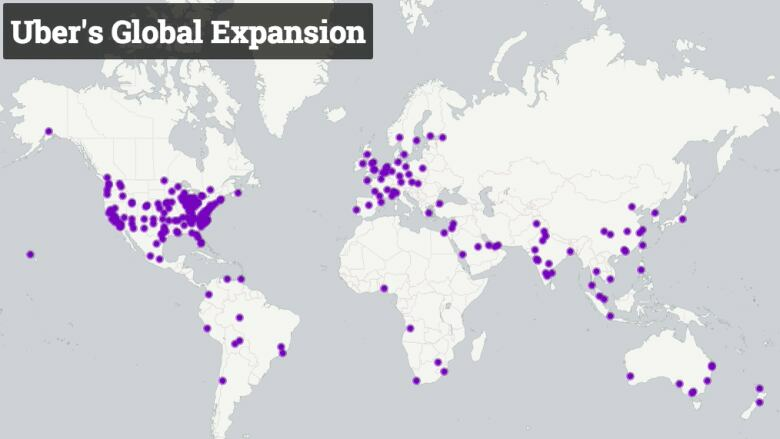 Within three months of its launch, 29 million square feet of land had been shared. There are really two fundamental building blocks of the sharing economy: One is the belief that access trumps ownership. The other is trust among strangers. All sharing sites use reputations as currency. Borrowers rate lenders, lenders rate borrowers, and you can flag another member's account if something goes wrong. 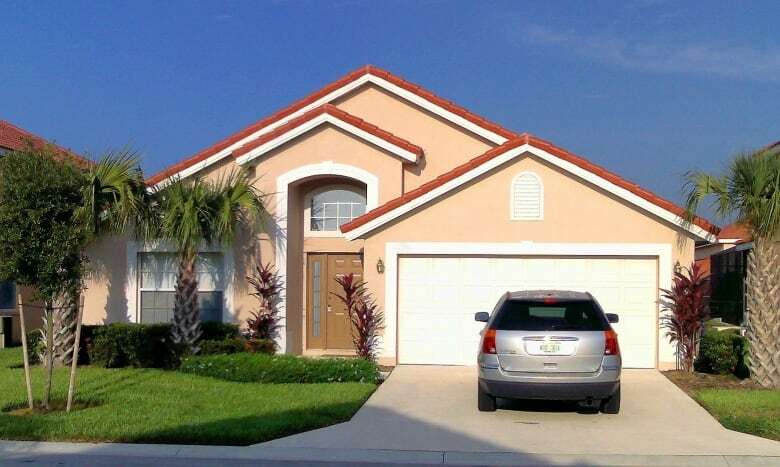 When the Great Recession hit a few years back, many people lost their jobs, some lost their homes, and the way most people lived was completely recalibrated. Job insecurity and fear of making big, expensive purchases changed people's behaviour. Virtually every one of the sharing sites I'm talking about today was started during - or immediately after - the last recession. Then there is the demographic impact. The Millennial generation, born between the early 1980s and the early 2000s, are a larger group than the baby boomers. And by 2030, they will make up 75% of the buying public globally. Along with that clout comes a unique way of looking at the world. They don't see ownership as empowerment, they see it as a burden. They want the movie, but not the DVD. They want the music, but not the CD. They want the ride, but not the car. Not only do they not want ownership, they don't want the responsibility of ownership. As the New York Times recently said, the only thing they want to own is their reputation. A good reputation is like having a giant key that will open multiple doors. Young people just don't want to own the door. Many Millennials watched their parents struggle through the recession, and they, themselves, are still having a difficult time finding stable jobs in a post-recession economy. As a result, they have been culturally programmed to rent, borrow and share. And the sharing economy is giving them options. Take a website called TaskRabbit. Essentially, it's an online marketplace for chores. If you need your laundry picked up, or your garden weeded, or a piece of Ikea furniture assembled, you post that request, and vetted people, or "Rabbits," will respond within 30 minutes. Each will offer different skills and rates, and you pick the person you want. 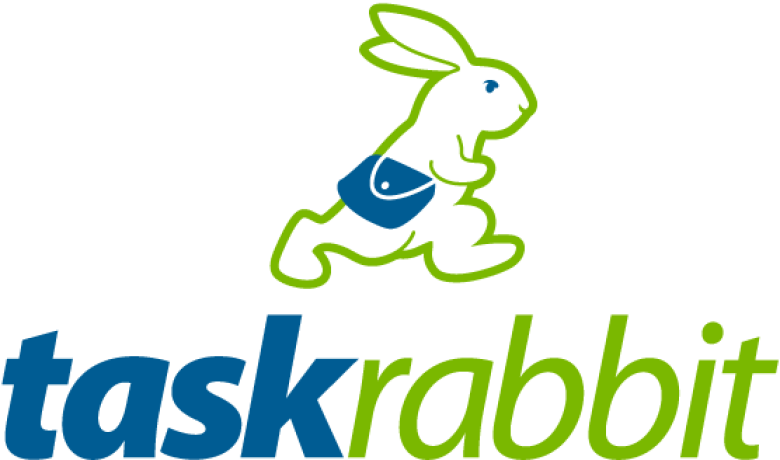 TaskRabbit now offers 30,000 Rabbits in select American cities. It is the perfect definition of the sharing economy - offering the efficiency of matching people with money and no time, with people with time and no money. Here in Canada, you can log onto kutoto.com, or askfortask.com. If the sharing economy still seems too new and unproven to you, know that venture capitalists have invested heavily. And one of their biggest investments to date is in a sharing site called AirBnB. One day, two design grads in San Francisco figured they could make a few extra bucks by offering airbeds in their loft to people who were attending a design conference in the city. So they set up a website called Air Bed and Breakfast.com - and made $1,000 in one week. With that sudden success, the two grads decided to max out their credit cards and build a bigger site with more listings beyond their own apartment. When Obama spoke at the 2008 Democratic convention in Denver, 75,000 people were attending the convention, but there were only 45,000 hotel rooms in town - and they were all sold out. So Air Bed & Breakfast invited Denverites to list their homes or apartments - or just rooms or couches - to travellers. The response was incredible – within a week they had 800 bookings. Within a year, 100,000. They eventually changed the name to AirBnB - and last year, the site booked over 14 million nights around the world. Travellers can choose from 800,000 listings that include apartments, homes, rooms, couches, private islands, castles and even treehouses - in 34,000 cities in 190 different countries. AirBnB is currently valued at over $10 billion. It is eating into the business of low and mid-priced hotels, and only three hotel corporations have higher market values than AirBnB – Hilton, Starwood and Marriott. With the sharing economy gaining ground and stealing market share from traditional corporations and brands, the pushback has been fierce. 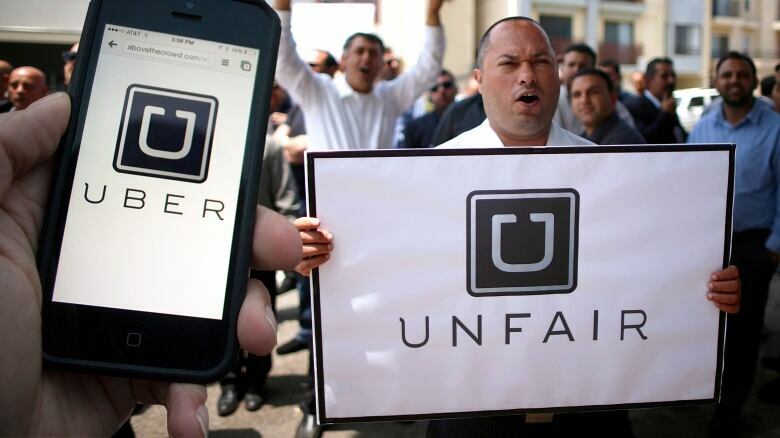 Uber has been banned in several European cities, and both UberX and Lyft are facing legal fights here at home, with established cab companies filing suits claiming car sharing companies don't adhere to rules and regulations. 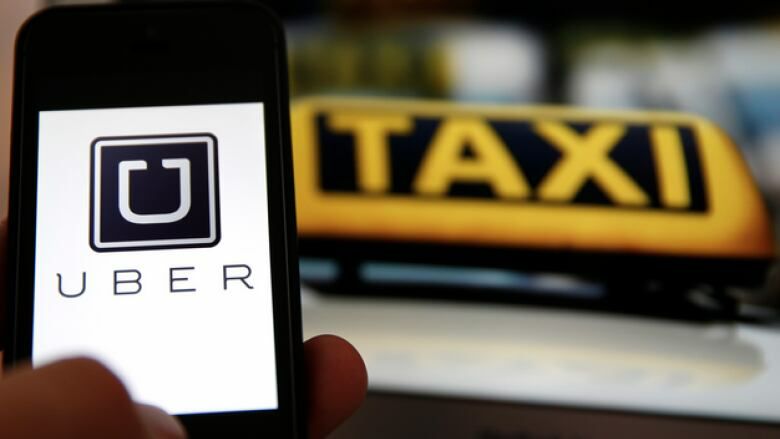 In December of 2012, the city of Toronto charged Uber with 25 municipal licensing offenses. 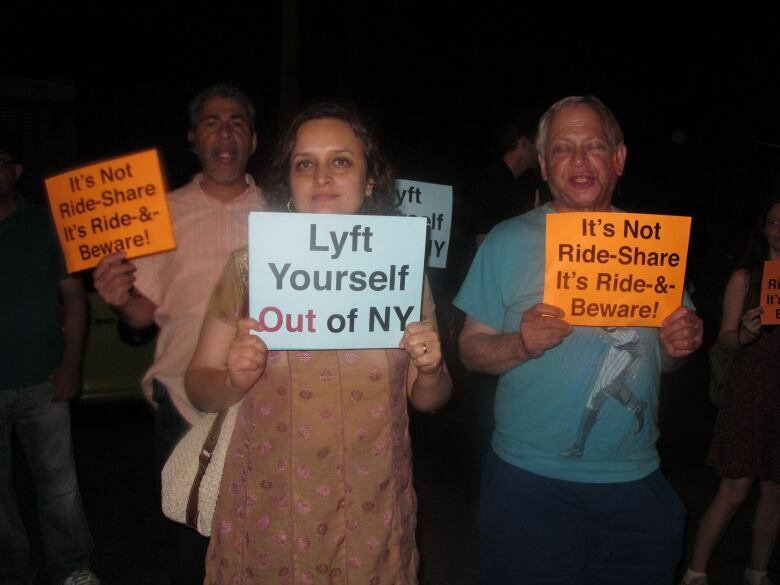 At Lyft's launch party in Manhattan, taxi companies parked their cars around the venue in protest with signs that said, "Lyft yourself out of New York." A cab company in San Jose California stated that car sharing services have taken 30% of their business. It's no wonder - according to Forbes, 50,000 new drivers join Uber every month around the world. The hotel industry is lobbying government to stop AirBnB in many cities, insisting the website be forced to collect hotel taxes. Smaller economy hotels are feeling the pinch of AirBnB. One such hotel chain in New York said it had continued growth until AirBnB arrived. Others say they are experiencing a 10% drop in business. The collaborative economy shows no signs of slowing down. Some analysts estimate the sharing market will grow from $3.5 billion in 2014, to over $100 billion in just a few years. With the march of the sharing economy, it's interesting to see how established brands are reacting. The Home Depot, which is in the business of selling tools, is now renting tools in about half of its 2,000 locations. 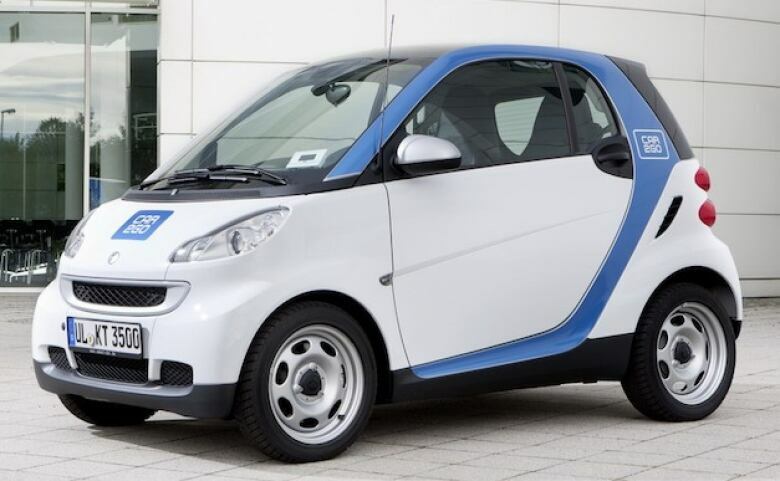 With over 4.5 million people taking advantage of car sharing options, Mercedes responded with its Cars2Go service, renting SmartCars for 38 cents a minute, including fuel, insurance and parking. Positioning itself as an option for even shorter rides than Zipcar offers. Speaking of ZipCars, Avis decided to stop competing against Zipcars, and bought them. GM invested $3M in RelayRides.com. It seems like a strange investment for a car manufacturer – but GM hopes that people sharing a Chevy might be convinced to buy one, and GM can incentivize sales by actually promoting the idea that a new car now comes with a rental income stream attached. Pepsi sponsored a contest across 10 cities in which winners got the services of a TaskRabbit personal assistant for an hour. It allowed Pepsi to get a toe into the sharing world, and gave TaskRabbit exposure to a much larger audience. And in the ultimate cross-pollination in the sharing economy, AirBnB hosts hire TaskRabbits to deliver apartment keys to renters. It's a full circle moment. Now even the sharing economy is sharing. Could it be that sharing is the new buying. The fact that North Americans spend $20 billion on storage facilities proves there is definitely an "idling capacity" waiting to be repurposed. While we've been sharing to survive for over 45,000 years, technology has created a universal hub that has never existed before. And a struggling economy has created a mindset. As Forbes stated, the sharing economy may prove to be the longest-lasting legacy of the Great Recession. It begs a big question: What happens when the largest demographic group in history – the Millennials – decides to share instead of buy? The sharing economy helps make the environment better without sacrificing. Less stuff is manufactured, fewer products are purchased, less waste. History shows us these disruptions always start unassumingly small – then suddenly gather up power and break on the shores of business like a tsunami. Think of music-sharing pioneer Napster. Here and gone. Then before we knew it, the music industry was completely under water. While there are regulatory hurdles and protests, sites like Uber and AirBnb continue to grow – because the ability to scale up is one of the most explosive aspects of the Internet. 20th century laws are going to have to give way to 21st century realities, and big brands that haven't been paying attention are going to have to figure out strategies to co-exist with sharing sites. Either way, a crack has appeared in the foundation of modern marketing. …when you're under the influence.